Emotional. Beautiful. Haunting. Powerful. 4 simple words to describe such a power house of a novel. This book definitely added itself to my top 5 books of 2013. What an emotionally raw story! Sarah is immediately beautiful in my eyes; And probably in the eyes of every reader that has the pleasure of reading this novel. She immediately found a safe spot nestled into my heart. She was truly a one of a kind character! Her will for survival(before and during her captivity) was so strong and it radiated off the pages. Cheryl has this beautiful ability to craft some of the most vibrant characters. Each and every one of them have all earned a spot inside of my heart. I love them all! Nick was another character that I absolutely adored. His innocent love for Sarah was a truly heart-warming thing to experience while reading this book. 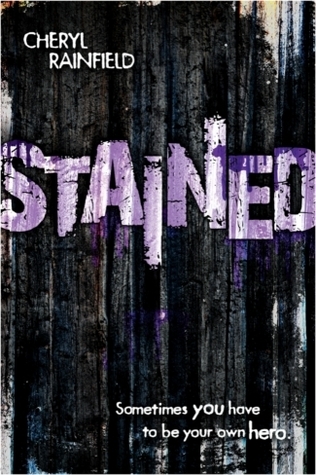 Cheryl Rainfield penned another realistic, dramatic YA book. One that should be read by all! She delivers a character cast that you will never forget and hearty story to go along with it! This sounds so intense! I may have to pick it up just for that storyline. I've seen port wine stains before, and I can't imagine having to deal with one as a teenager. Teens are so unkind to each other. Well, so are adults, but it's so hard at that age. I read this book 7 times already and every time i find something new. New impression, new idea, new metaphor. During our Literature classes I complete the best essays on the topics connected with the book. My professor says I'm a real bookworm.